LAKEWOOD, N.J. (May 12, 2018) - Gavin Wallace's third quality start of the season and a three-run first inning from West Virginia were more than enough for the Power on Saturday afternoon at FirstEnergy Park, as West Virginia claimed a 4-2 victory in the series opener against the Lakewood BlueClaws. Wallace (3-0) spun a career-high seven brilliant innings, allowing just four hits and one run on a Quincy Nieporte solo homer to lead off the fifth. Besides that, the Madison, New Jersey, native stymied Lakewood's lineup, inducing 14 ground ball outs and not issuing a walk over 69 pitches. Evan Piechota (S, 2) tossed the final two frames to pick up his second save, despite surrendering a run in the ninth on an RBI groundout from Nick Maton. The Power (21-13) did not waste any time getting to BlueClaws starter Connor Brogdon (1-2), tacking on three runs in the opening frame. After Oneil Cruz struck out, Chris Sharpe doubled to left and Calvin Mitchell singled him in to make it 1-0 West Virginia. Two batters later, Dylan Busby stroked a double to left-center that scored Deon Stafford, who reached on a fielder's choice, and Rodolfo Castro blooped a single to center that plated Busby to give the Power a 3-0 edge. West Virginia added an insurance run in the eighth as Ryan Peurifoy roped a double to left off Lakewood (19-16) reliever Luis Carrasco to begin the inning. After Lolo Sanchez moved Peurifoy to third base on a sacrifice bunt, Cruz singled to right to bring in Peurifoy and give the Power a 4-1 lead. With Cruz's eighth-inning single, the Dominican native extended his hitting streak to 13 games, tying the longest streak by a West Virginia batter this season. During this 13-game stretch, Cruz is averaging .333 (18-for-54) with a home run and eight RBI. The Power infielder has also reached base in his last 15 contests. West Virginia continues its four-game series with Lakewood on Sunday afternoon at FirstEnergy Park, with first pitch set for 1:05 p.m. RHP Travis MacGregor (1-1, 2.63 ERA) is on the bump for the Power, while the BlueClaws send lefty David Parkinson (2-1, 2.05 ERA) to the hill. Pregame coverage begins at 12:45 p.m. on The Jock 1300 and 1340 AM, as well as online at wvpower.com, via the TuneIn Radio App and the MiLB First Pitch App. After their trek through Maryland and New Jersey and a league-wide off day on Wednesday, May 16, West Virginia returns to Appalachian Power Park to face off with the Lexington Legends in a four-game series. The Power's second May homestand includes another Rock 105 Thirsty Thursday, a postgame fireworks show, presented by UniCare Healthplan of West Virginia and Electric 102.7, a Kidz Sunday Funday and an umbrella giveaway on Saturday, May 19. West Virginia will also host Power to End Stroke Night on Thursday, May 17, along with Military Appreciation Night on Friday, May 18. 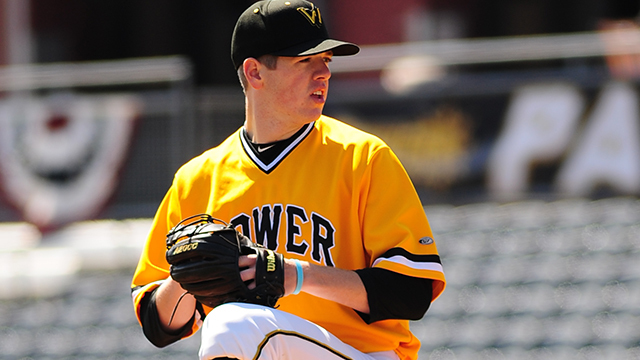 For tickets and more information, call the Power at 304-344-2287 or visit wvpower.com.